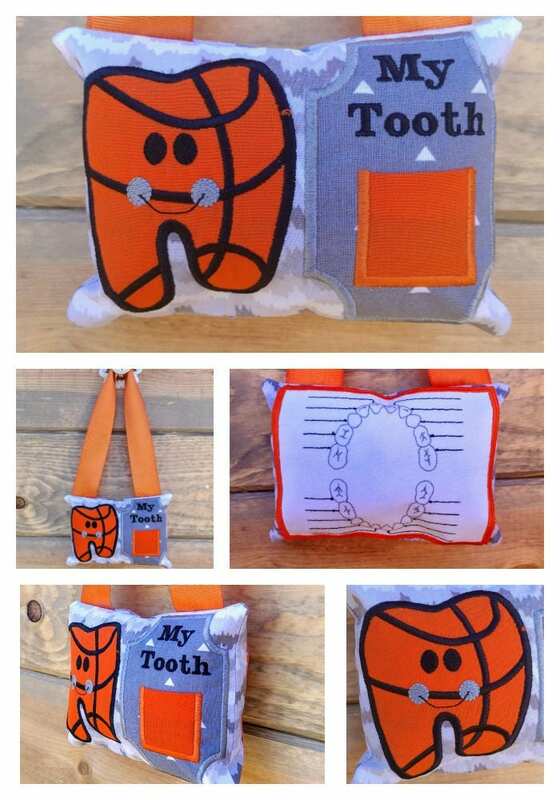 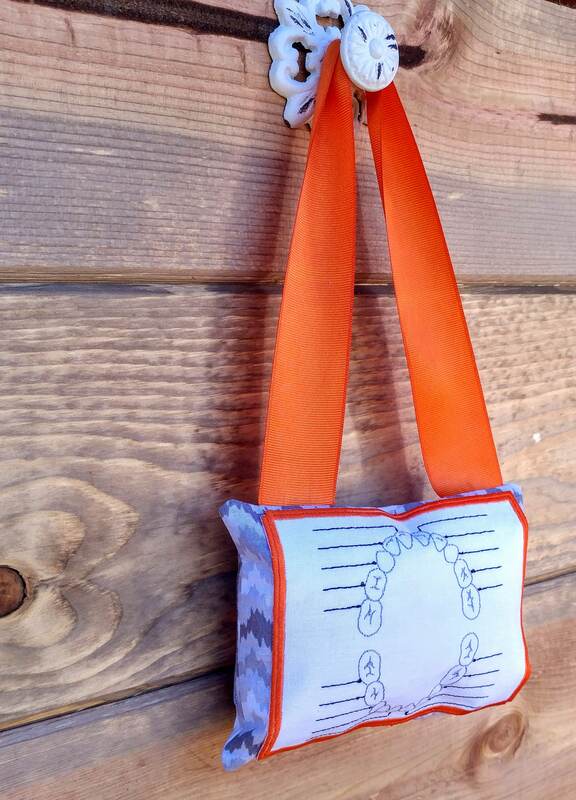 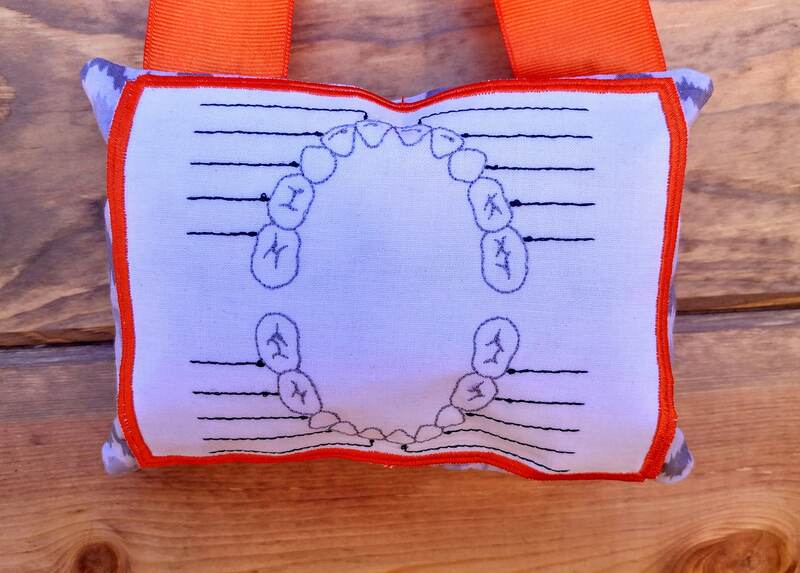 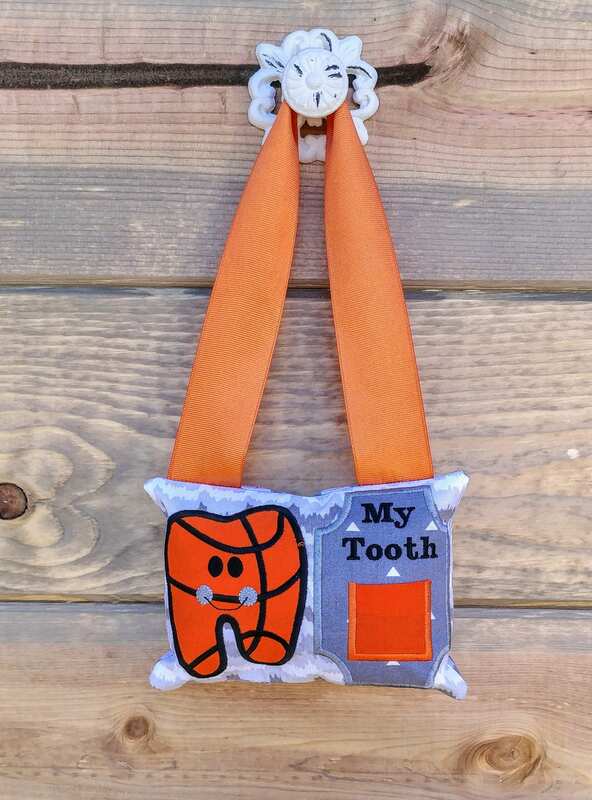 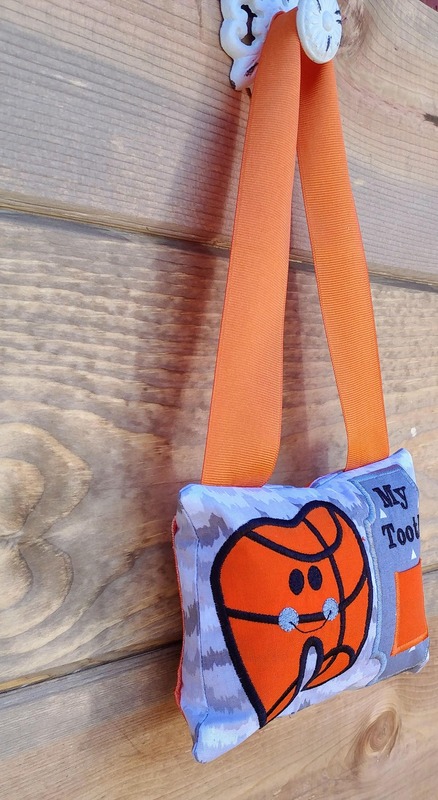 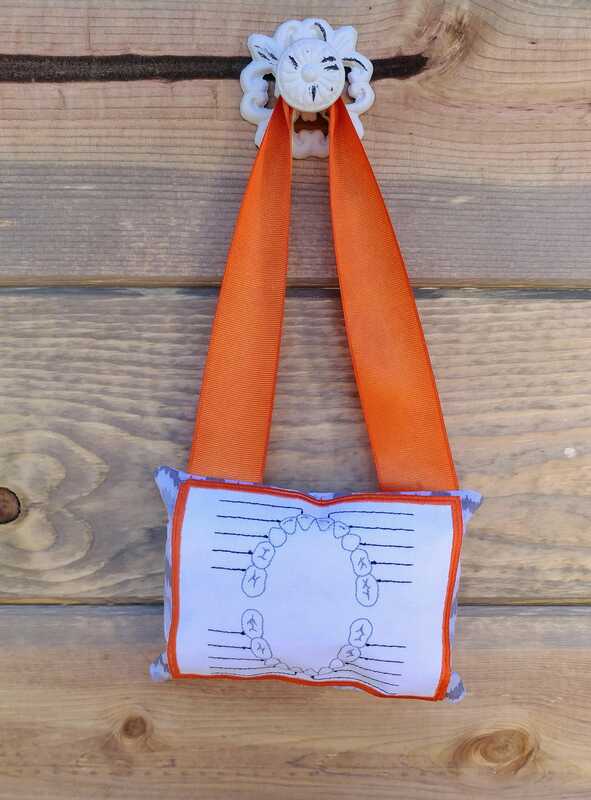 Basketball tooth themed tooth fairy pocket pillow. 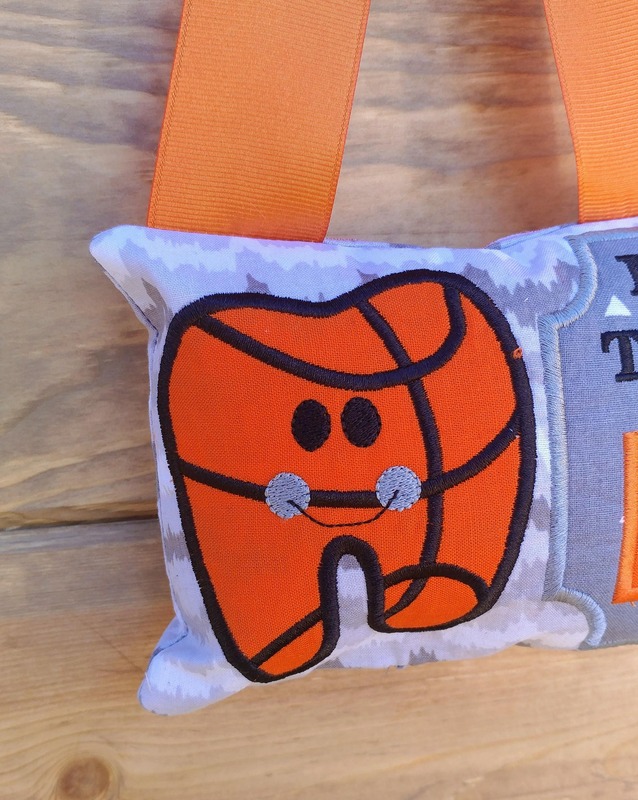 These pillows are loved by both the kids and the tooth fairy. 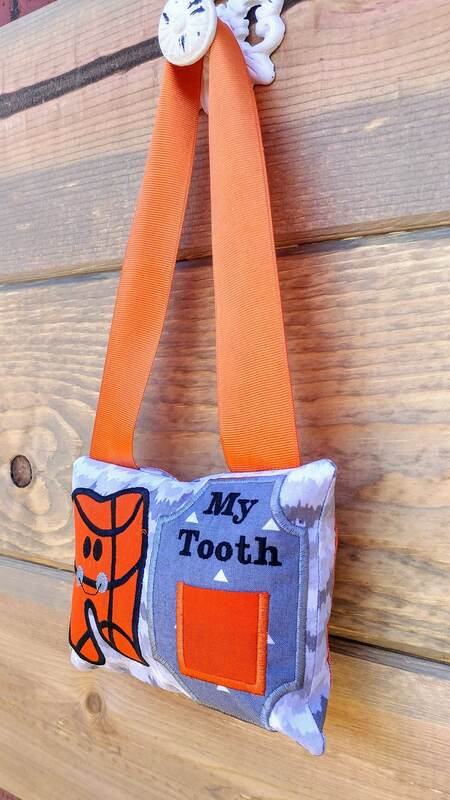 Who wouldn't love something that makes leaving a little surprise easier? 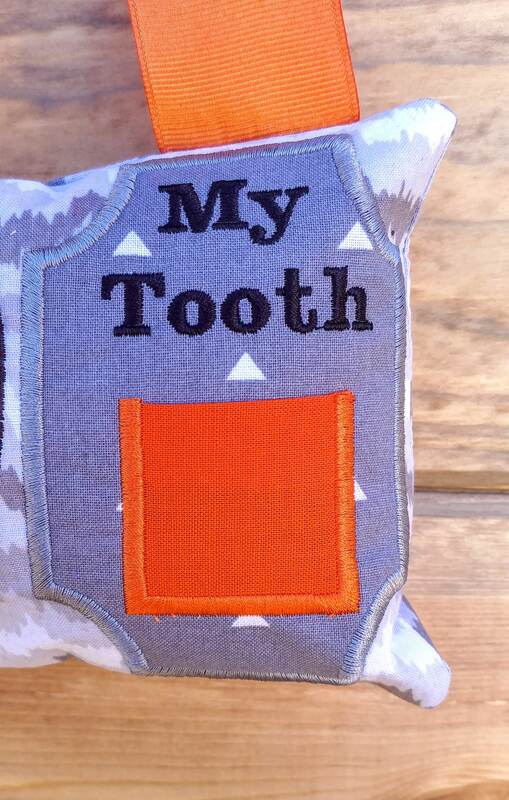 The tooth fair will no longer need to hunt for the tiny tooth under pillows again. 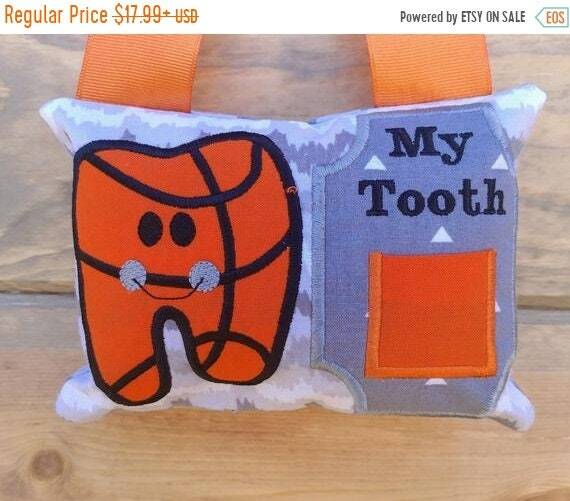 The excited child need only to place his/her tooth in the pocket of this adorable pillow, hang it on the bedpost or the bedroom door and wait for the tooth fairy to make the exchange, leaving coins or dollar bills, while he/she dreams sweetly.